New Yorker Danny is running from something. A loner who cannot bear to be apart from his Wi-Fi connection, he is in need of refuge. His cousin Howie is an enigmatic and successful former drug addict who just happens to own a castle. As they turn the castle from crumbling ruin to luxury hotel, Howie and Danny must navigate their uncomfortable relationship. And the castle has some surprises of its own: a sinister baroness, a tragic accident in a fathomless pool, a treacherous labyrinth, and through all of this, a story within a story . 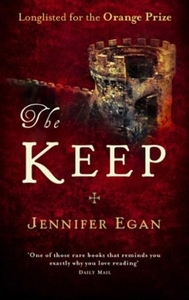 . . An unnerving, haunting and unforgiving tale of modern life and modern man, the novel before A Visit from the Goon Squad is filled with Egan's breathtaking style and remarkable voice.